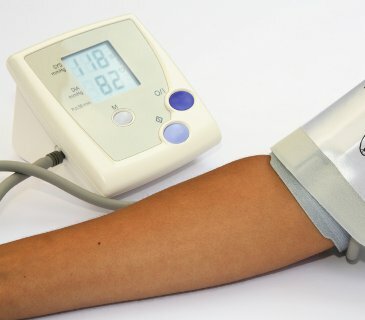 High blood pressure, or hypertension, is considered to be a blood pressure reading of over 140/90 mmHg (millimetres of mercury), and factors that contribute to high blood pressure include: being over-weight, exposure to long-term stress, smoking, and a high-fat diet. The danger with high blood pressure is that it greatly increases your risk of cardiovascular disease, stroke and heart attack. The good news is that you can take steps to prevent high blood pressure by adopting a healthy diet and lifestyle. The types of fats that are travelling round the body in your blood have quite a substantial impact on blood pressure and cardiovascular health. Triglycerides are types of fats that make the blood very viscous and sticky, increasing blood pressure. Having a diet high in saturated fats or animal foods such as red meat and cheese is known to increase the quantity of triglycerides carried in the blood. This is certainly to be avoided if you already have high blood pressure. When you have your cholesterol checked you should be given figures for HDL and LDL cholesterol and the ratio between them. This information is very useful to understand as it gives you a much better picture of your health than just the total cholesterol figure. Your blood is a water-based transport system and since fats and water do not mix, fats are attached to a protein carrier in order to gain access into the blood. Cholesterol is carried in the blood as two substances – High Density Lipoprotein (HDL) and Low Density Lipoprotein (LDL), and the ratio between the two plays a part in healthy blood pressure maintenance. HDLs represent cholesterol which is being carried from body cells to the liver for excretion. 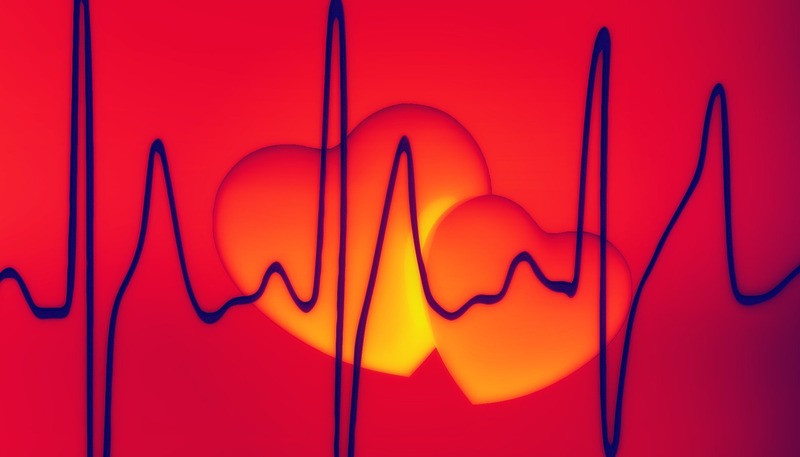 LDLs represent cholesterol that is being carried from the liver to body cells for metabolism. A healthy cholesterol picture is considered to be twice as many HDLs to LDLs, which means that you are effectively clearing more cholesterol out of your body than you are making and dumping into the blood. LDLs are very sticky and push blood pressure up, so keeping LDLs to be fewer than HDLs is an important part of blood pressure management. This mineral helps to reduce high blood pressure in a couple of ways. Firstly, magnesium helps protect against stress-induced blood pressure by having a calming effect of the nervous system. Secondly, it is also known that good levels of magnesium in the blood actually help to prevent and inhibit the deposition of calcium onto blood vessel walls (which contributes to plaque development). It is in this way that magnesium helps to maintain healthy blood pressure by protecting blood vessels from becoming ‘furred up’ and contributing to high blood pressure. Vitamin C and sulphur are vital ingredients for the body to build a strong collagen matrix within the blood vessel walls, making them strong, resilient, and resistant to wear and tear. Vitamin C is a water-soluble vitamin, which means that it is essential to meet daily needs through the diet since very little can be stored within the body for reserves. Good levels of vitamin C are the first step in preventing high blood pressure as building and maintaining strong blood vessel walls prevents the development of those tiny holes and tears which when repaired lead to narrowed arteries and increased blood pressure. One of the best ways to prevent your blood from becoming too thick and sticky is to increase your intake of oily fish or to take an Omega-3 Fish Oil supplement. Studies have shown fish oil supplementation to be effective at reducing high levels of total cholesterol and triglycerides and for restoring HDL / LDL cholesterol balance. Fish oils can literally ‘thin the blood’ and rebalance blood fats, resulting in beneficial effects for blood pressure, whilst reducing the risk of heart attack and stroke. It may seem strange that something that doesn’t even get absorbed into the body can have a positive influence over your blood. However, soluble fibre affects blood pressure by helping to maintain healthy cholesterol levels. Cholesterol is passed to your liver where it is broken down and processed into one of the components of bile and then passed out into the intestine for elimination from the body. Once in the intestine, the cholesterol break-down products bind with soluble fibre in order to be carried out of the body. If you are constipated, or your diet is low in soluble fibre, then there is a strong chance that the broken down cholesterol will just be re-absorbed and re-circulated back around the body. As elevated cholesterol can contribute to high blood pressure, increasing dietary intake of soluble fibre to maintain bowel regularity is an important factor for maintaining healthy blood pressure. A good way to do this is to start the day with porridge or oat-based muesli to which you can add one teaspoon of oat bran. All fats that travel in the blood, whether they are derived from saturated fat or omega-3 oils, are vulnerable to oxidation and once oxidised they become harmful and make the blood thicker and stickier. Antioxidants such as vitamin C and vitamin E help protect blood fats from this oxidation. Other antioxidants such as flavanols and proanthocyanidins, found in highly coloured fruits and vegetables, protect blood vessels from wear and tear produced by free radical damage. Increasing foods rich in antioxidants can help to protect your cardiovascular system and maintain a healthy blood pressure. Sometimes, we find we have an abundance of information, telling us what to do and what not to do, but it all just seems like too much and we just don’t know where to.I can help you make those changes with small achievable steps to make significant change.